France moved to the top of Euro qualifying Group D with a 2-0 victory against Romania. 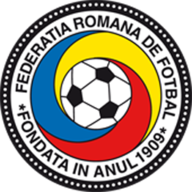 Two goals in the final seven minutes helped France secure a vital home victory against Romania to go top of Euro qualifying group D.
Laurent Blanc's side who started their campaign with a home defeat at the hands of Belarus before winning in Bosnia last month were denied time and time again by the inspired Costel Pantilimon. The Romanian stopper came to the rescue making superb stops from Mathieu Valbuena and Samir Nasri as the game looked to be heading for a goalless draw in Paris. However, substitute Loic Remy spared French blushes when he broke the deadlock seven minutes from time. The Marseille striker made an instant impact after coming on to the field to rescue Blanc's side when he fired his low shot into the bottom corner. France secured the points deep into stoppage time when debutant Dimitri Payet set up Yoann Gourcuff to settle the contest. 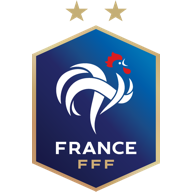 The victory was France's first win at the Stade de France since October 2009 and allowed Blanc's side to open up a one-point lead over Belarus and Albania in the standings.